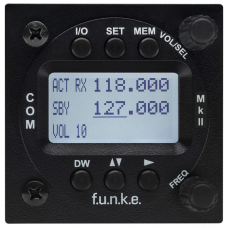 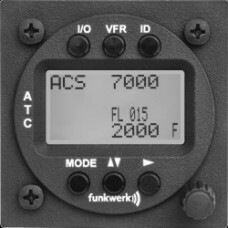 Purchase the Funke ATR833 LCD 8.33 Transceiver and Funke TRT800HLCD together, and receive a £251.00 + VAT discount. 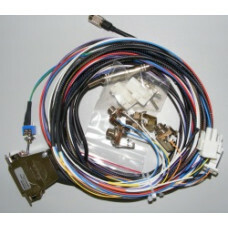 Please see related products below, for specifications. The TRT 800H LCD is a match for the ATR 833 LCD and is at a lower price than the OLED version althou.. 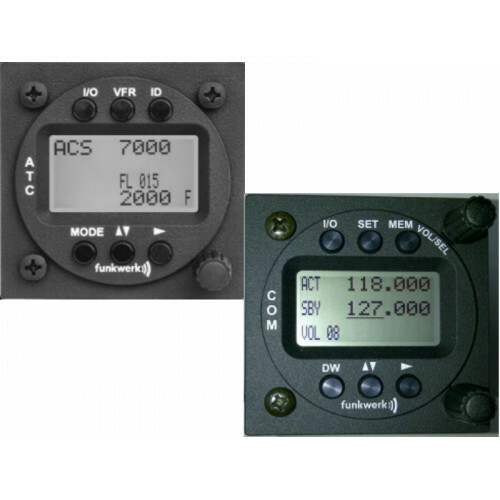 Developed from the very popular ATR 833 OLED, the ATR 833 LCD has all the features of the OLED versi..
ATR833 Cable Loom for double seat powered aircraftHeadset sockets attached for 2 headsetsPTTs not in..